Happy Monday! Here's a quick recap of our weekend in pictures. 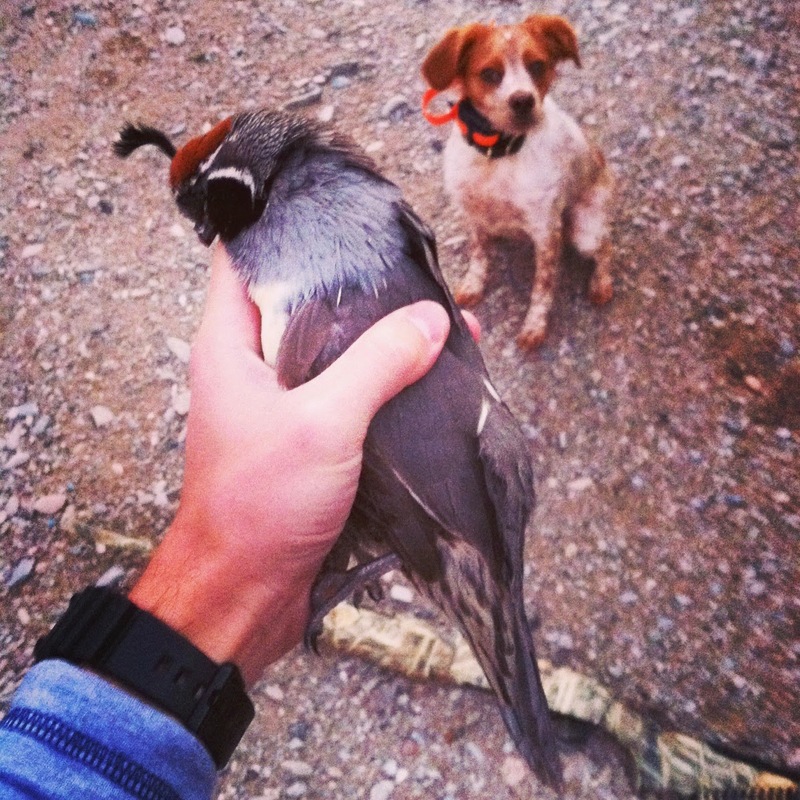 Saturday morning John and Scout went quail hunting and got their first wild Gambel's quail! Whoop, whoop! Go team, go! They then came home and cleaned the bird together in our kitchen sink... yes, I know - not ideal. John cooked the quail for lunch, and it actually tasted okay (however, John would tell you that it tasted amazing). Scout is trying to get in on all the action! After our "first" lunch (a few bites of quail), we headed to a Mexican restaurant called The Mission. The guac... to die for! I swear, I would order that for my meal and be totally satisfied. John's dad and step-mom are coming to visit us in less than a month, and John has made it his mission to try as many Mexican restaurants as possible in preparation for their arrival to show them the best place in town (and as you can imagine, there are quite a few good ones in Arizona). 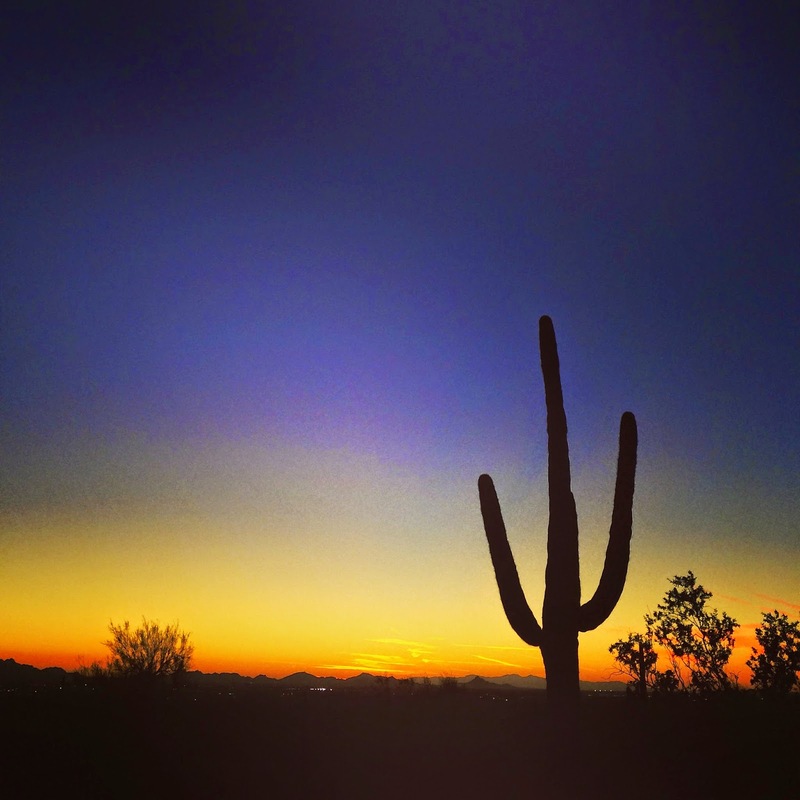 We closed the weekend with a beautiful sunset walk in the McDowell mountains. The Arizona landscape is something else, and sure is beautiful! Beautiful photo of the landscape at sunset! Wow! Love the pics of Scout too! That's one proud pup! What a beautiful sunset picture!! Sounds like a great weekend. I want to cut my hair into a long bob too in the next few months, and I'm a little apprehensive as well! And I can eat guac as a meal too, so good! I love that sunset pic!! Amazing!! 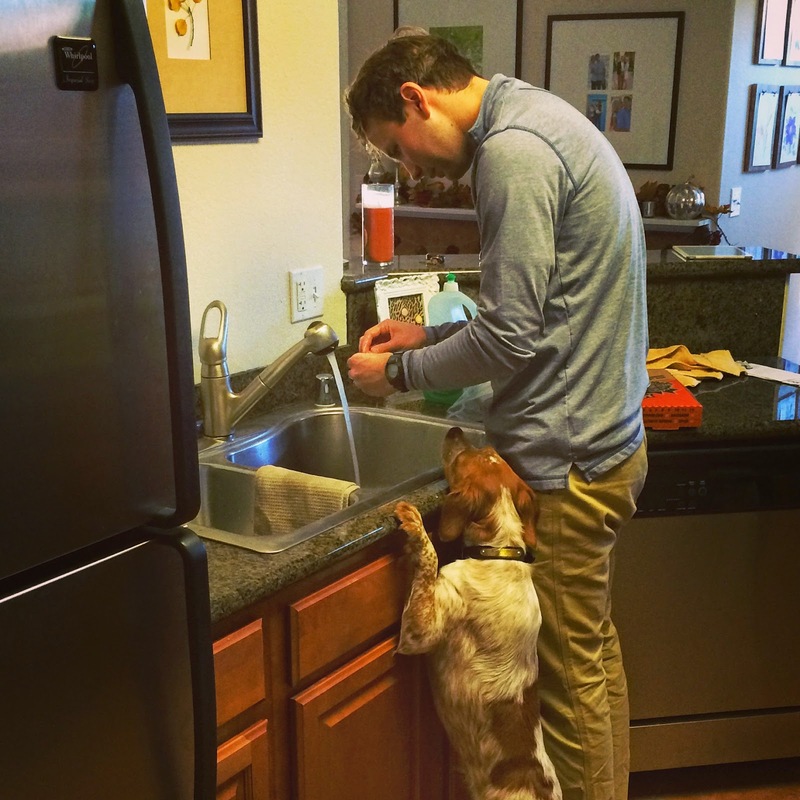 Scout trying to help is hilarious! So proud. So silly. That last photo is just gorgeous!! I wish I was taste testing all the Mexican restaurants with you guys!! Way to go Scout! I'd need Mexican after a bite or two of quail myself. I'm not a big fan of 'weird' meat - ha, not sure what else to call it. I like chicken. I'm boring. Oh my... my vegetarian ways made me instantly go "poor quail"... but I know you've worked hard on training your dog to do just that. Go scout, go! What a good bird dog! Wow that last picture is amazing! So pretty! Can't wait to see your hair! You should definitely consider the long bob for 2015, you could totally rock it! That picture is stunning, good shot! And good job Scout! Cleaning the bird in the sink!? Wow, hopefully there werent any leftover pieces. I had to clean out my own fish in the sink once after fishing, it was my first and last time! I really wanna be in on this 'try all the Mexican food restaurants' thing y'all have going on!! Tell John and Scout "Congrats!' from Matt and Bella! Great weekend! 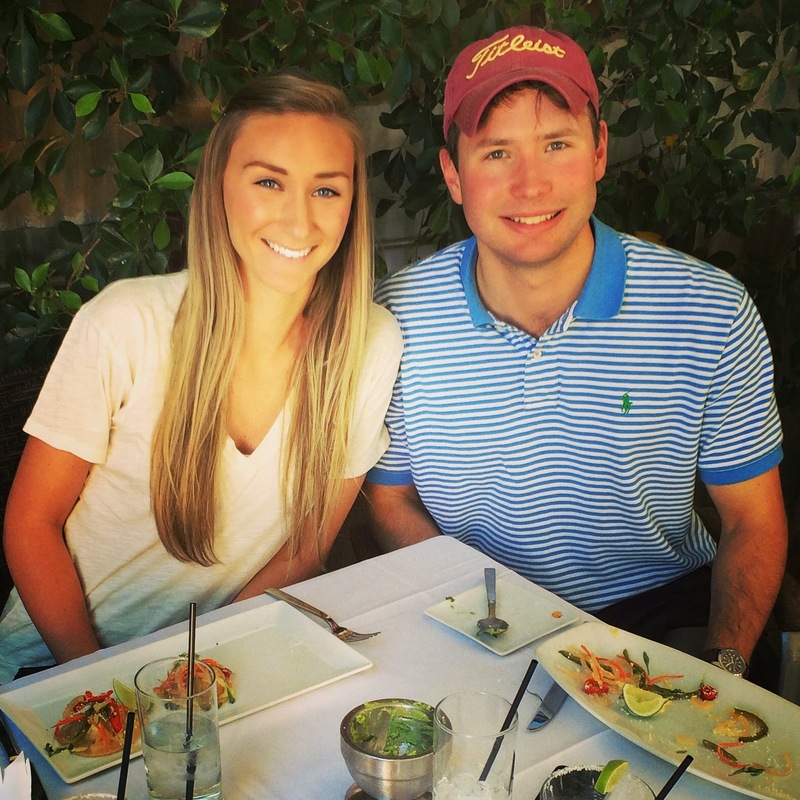 Congrats to Scout and John! Mexican food is the best. Yay for their first quail! I love Mexican food -- I always make sure to get my fix when I'm home in San Diego. What a gorgeous sunset! That sunset is to die for! And Scout is so cute trying to get in on the action. I totally feel you with the long bob. I've been debating something similar with my hair but it's taken me forever to get it this long!